While waiting for my wife to come out of the movie at the Ušče Mall earlier this week, I explored the Friendship Park. 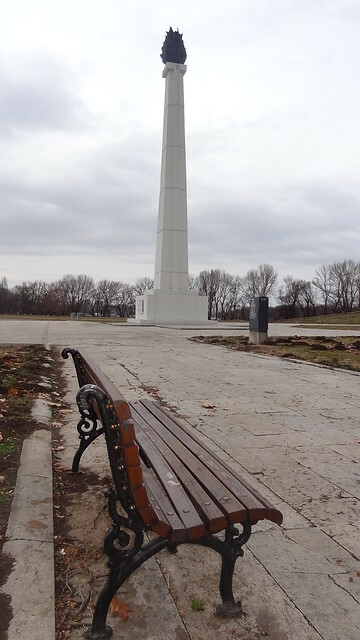 This park in New Belgrade was established in 1961 to commemorate a big meeting of the Non-Aligned Nations Movement. Through the years, when foreign statesman visit Serbia, a tree is planted in the park in their honor. I walked around and noted some of the famous names. These included Fidel Castro, Moammar Gaddafay, Leonid Brezhnev, Hafez El Assad, and of course the first one, Tito in 1961. 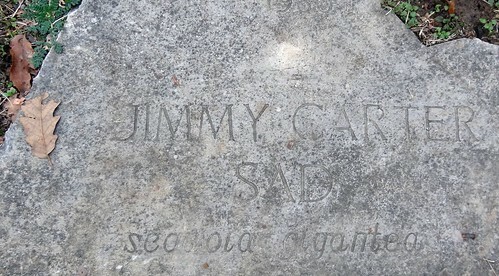 My favorite is from 1976, Jimmy Carter planted a California Sequoia which must have died because there was a large bush near his marker that certainly didn’t look like a 35-year old Giant Redwood. 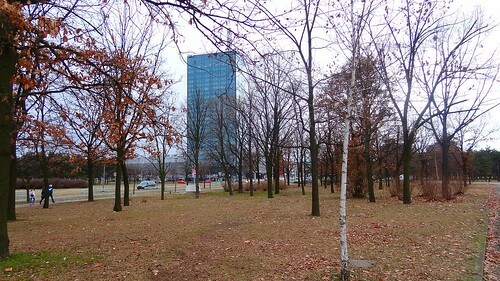 One of the latest trees planted was by current Egyptian Foreign Minister, Mohamed Kemel Amr in September next to the Serbian Foriegn Minister, Vuk Jeremić in September of 2011. The other interesting part of the park is the Soviet-style monument erected by Slobodan Milosević after the NATO bombings in 2000. It used to contain an eternal flame. In the background of the photo to start this post, you can also see the former Central Committee building. It was destroyed in the NATO bombing campaign, but is now office buildings.